Lucky So & So’s on Millennium Stage! It was a thrill to play on the Kennedy Center Millennium Stage with the Lucky So & So’s on August 18. Thanks to the talented crew for making us feel and sound like a big-time band. Please check out this video of our performance. July 2016: DC Jazz Jam, Lepic, Mr. Henry’s, and the Lucky So & Sos! Here’s my live music schedule for July 2016: this month includes Aaron Myers’ birthday show at Mr. Henry’s (22nd), another evening at Bistrot Lepic with Barbara Papendorp (20th), and a session of the DC Jazz Jam with Antonio Parker (11th). 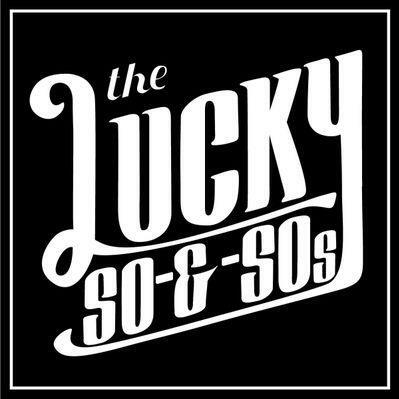 In addition, I’ll be joining the Lucky So & So’s at Sehkraft Brewing in northern VA for a Saturday night show (16th), sharing the bill with singer-songwriter Mary-eL. That should be a fun night! Weds. June 15, 5-6 pm: with Annelise Delcambre at the Glover Park Hotel Joining vocalist Annelise Delcambre for an hour of jazz in the lobby of the brand new Glover Park Hotel (2505 Wisconsin Ave NW), kicking off a new weekly series “Glover Park Grooves”. Free. Thursday, June 16, 12-2 pm: DC Jazz Festival: Singing in the Parks with Aaron Myers The DC Jazz Festival Jazz in the ‘Hoods celebrates the National Park Service Centennial with this performance series presented by Events DC in collaboration with the Downtown BID. This is an exciting partnership with local clubs, restaurants, hotels and galleries in celebration of jazz in our nation’s capital. Franklin Square Park, K to Eye St NW, between 13th & 14th, Washington, DC 20005. Free entry. This is my updated performance schedule for July, 2015. I look forward to seeing you at one or more of these events. The Weekly DC Jazz Jam is back, at a new venue, The Brixton at the corner of 9th and U Sts NW in Shaw. I’m looking forward to reuniting with the second Sunday band for another exciting jam featuring some of the region’s best players. Aaron Myers starts his regular fourth Friday stand in the upstairs lounge at Mr. Henry’s on Capitol Hill, with me at the piano, Percy White on bass, and Will Stephens at the drums. Two-item minimum. Joining BSQ for Sunday brunch as we continue our regular brunch performances at Malmaison, an elegant restaurant on the Georgetown waterfront. Looking for something to do on MLK Day Eve (January 19)? Come on out to the TreeHouse Lounge to hear some MetroSongs. We’re playing an 11 pm set, part of the Alchemical Records showcase featuring Ubiquity Machine and other local artists. Tickets for the show are $12 in advance or at the door. Looking forward to another fun showcase! Looking forward to getting back together with Barbara and Russwin on September 27 for another fun evening of song. We’re working on a few new numbers for this show, and plan to invite some special guests to join us at the microphone. Please download the flyer and share with your friends and acquaintances.